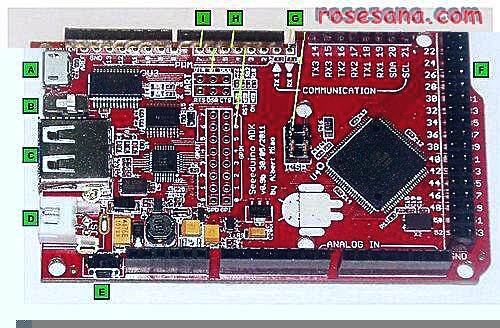 Seeeduino ADK Main Board is an Android Open Accessory Development Kit(ADK). 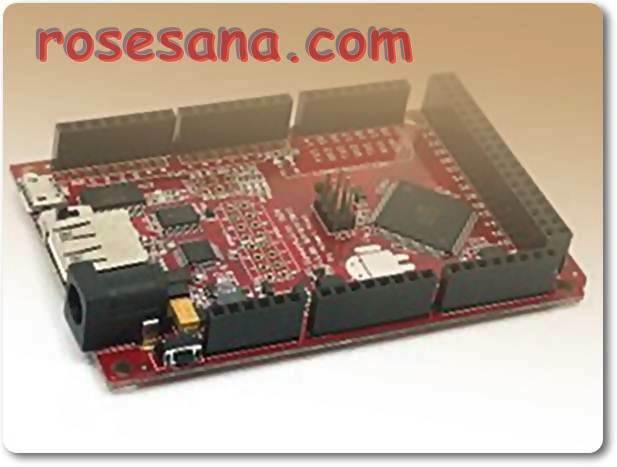 Compared to the Google's ADK Reference design, Seeeduino ADK has many added features like support of both 5V and 3.3V I/O (logic with a switch), smaller form-factor, better placement of reset button, pads for more pin-headers and sparkling RED PCB with Golden finish. Using ADK Main Board build your own Mobile accessories. Open Source Android development platform and Seeeduino ADK Main Board is an ideal solution for mobile based Home Automation. A Micro USB Socket: Connects main board to PC. 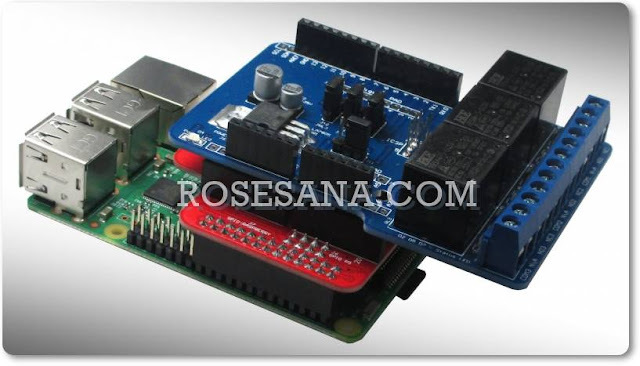 Used for uploading sketch using Arduino IDE. C USB A Plug : Connects to Android Mobile Device. D JST Conector / DC Jack : For external DC power supply. Do not connect PC while using external DC. E Reset Button: Conveniently placed at the side to allow using reset while using shields.